The mild weather in the latter part of November really helped us make progress on the site, especially with our work on the path. We have been clearing leaves off the path at intervals before they turn to humus and mud both near Nelsons Lane and near Little Hob Moor. 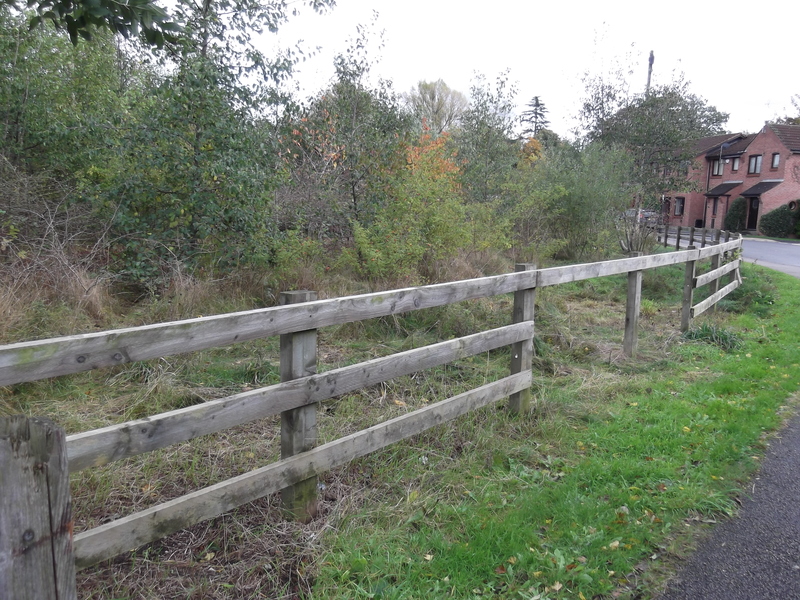 The narrowest sections of the path near Little Hob Moor have been restored (by scraping back encroaching grass and soil) to their former width. This appears to be dramatically improving drainage of surface water. The protruding root on the corner of the path was a tripping risk, so has been carefully reduced. We are generating a clear strip at either side of the path which will be grassed over in the spring. We have added stone chips to the very muddy part of the path at the end of the western bund in the interests of safety and for the comfort of users. At the end of November we trimmed several large branches from willows and some other species where they posed a possible future risk to adjacent properties. We discuss what we plan with residents concerned first whenever possible. 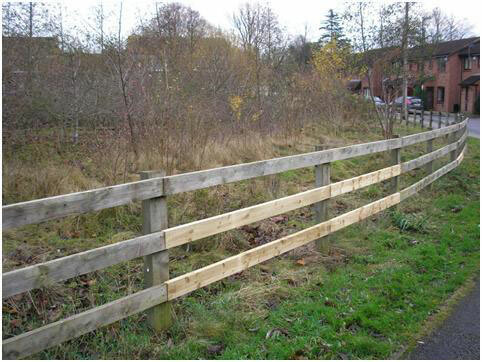 At the time of writing we have just started to replace missing timber from the fence along Nelsons Lane, which should reduce the (admittedly small!) risk of dogs or small children running into the road. We are also replacing the two broken horizontal bars there. Photos below by Pam Brown show part of the fence after and before repair. The log pile has been moved back from near the path near Little Hob Moor as it was too close to the edge; it’s been reassembled as a mini rustic fence, which hopefully will reduce the risk of dogs running into the adjacent back gardens.